Quite the savage birthday wishes from former teammate Evan Turner. Clowning Kelly's rebounding skills, or lack thereof, isn't the most friendly way to show birthday love. Watching the Greek Freak highlights... 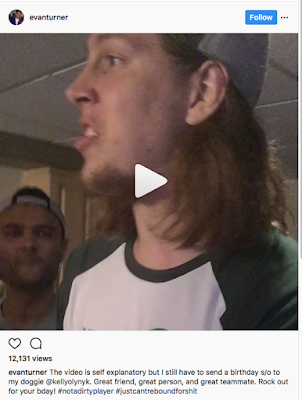 I wonder if Bucks fans lament missing out on Kelly Olynyk? Happy Birthday to Kelly though in all seriousness. Not his fault that Danny passed on Giannis. And keep shooting those 3's. Don't hesitate. Pretend your Marcus Smart and have no conscience behind the arc. You play your best when you're aggressive and confident.